There is nothing better for book recommendations than a conference on YA literature. While I was in Baton Rouge, LA last week, I kept a running list of book titles and authors on my phone, adding five or six books to it every day. The YA lit conference at LSU was composed of two keynotes each day presented by an author and an academic, a selection of workshops in the mornings, and breakout sessions in the afternoon. All of these options for learning about and engaging with YA lit were compounded by author readings and receptions in the evenings. My list grew, and on the penultimate day of the conference I put together a sizable Amazon order, timing it right so I'd get home to a big box of books. 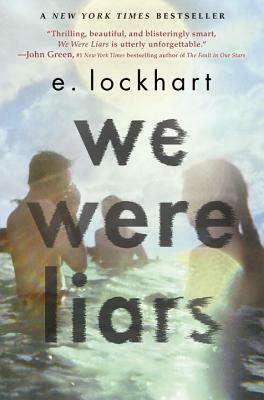 E. Lockhart's We Were Liars was by far the most talked about book at the conference. It was cheer-leaded most enthusiastically by conference organizer and professor Dr. Steve Bickmore, and it was one of the first books that made the shift from Amazon Wishlist to Amazon Order when I had a chance to act on all of the recommendations. I read We Were Liars in one sitting, and finished it late last night. We Were Liars takes place on a private island off the coast of Massachusetts, anchored by four family estates: Clairmont, Red Gate, Cuddledown, and Windemere. The island belongs to the Sinclairs, an old and moneyed family that summers together, traveling in from New York, Burlington, VT, and Cambridge, MA. Harris Sinclair oversees his family: his three daughters and their collection of dogs and children. Cadence (Cady for short) is Harris's oldest granddaughter, and she recounts the summers from when she was fourteen to seventeen on the island. 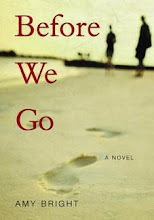 The summer provides the only opportunity for her to reconnect with her two cousins Johnny and Mirren, and Gat, an almost cousin (his father is in a new relationship with Johnny's mother). Together, the four of them are the Liars. Their lives are opulent, their summer lives even more so. Lockhart details the rich food and drink served by nameless staff, the endless games of tennis, access to private beaches and long stretches of ocean, and huge houses filled with expensive and beautiful things. 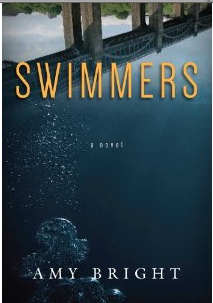 Cady's descriptions of life on the island are engrossing and poetic: "That first night, I cried and bit my fingers and drank wine I snuck from the Clairmont pantry. I spun violently into the sky, raging and banging stars from their moorings, swirling and vomiting" (16). She captures the untouchable mythology of the Sinclair family, the stories that are told and retold and whispered about them, the Sinclairs, and the summer of her fifteenth year when everything changed. We Were Liars often feels timeless, even though there are technological markers - iPhones and iPads - that set it firmly in the present. Lockhart communicates a sense of out-of-place and out-of-time, using the mythology of the Sinclairs and fairy tale structures to make the island a place removed. And then there is another device that reminds readers of the contemporaneity of the book. So often YA books have references to the classics in them: books like Perks of Being a Wallflower, where Charlie's English teachers passes him titles such as The Great Gatsby, Naked Lunch, and Catcher in the Rye. The references validate canonical texts, and acknowledge that teens reading YA books could also read the classics. But something different happens in We Were Liars. The books that are referenced throughout - those that Cady and her cousins are reading - are not only classics, although Tom Sawyer, Being and Nothingness, and others are there. They are contemporary, they are YA, they are popular titles for teenage readers. While Diana Wynne Jones makes an appearance - Cady gives away her copy of Charmed Life - I was more interested in the presence of Australian author Jaclyn Moriarty. Gat gives Cady a Jaclyn Moriarty book ("I'd been reading her all summer") and inscribes it with "For Cady with everything, everything. Gat" (116). References like these validate YA literature, and acknowledge that teens reading We Were Liars may also have read Jaclyn Moriarty. I loved We Were Liars. It reminded me of Daniel Handler's The Basic Eight, which I haven't written about yet but I'm planning to, and The Bell Jar, a strange mix of reality and non-reality barely distinguished from one another.